The Witcher developer CD Projekt Red has received almost $30 million PLN ($7 million) from the Polish government for the purposes of researching new gaming features. The Polish developer announced the funding recently (via wccftech), which comes from Poland’s National Center for Research and Development’s GameINN program. CD Projekt Red put in four proposals for funding, all of which were approved. A chart on the NCBR’s website [PDF] shows that CD Projekt Red’s four approvals were for R&D efforts related to “city-creation,” “seamless multiplayer,” “cinematic feel,” and “animation excellence.” This doesn’t necessarily mean that future CD Projekt Red games could have city-building or seamless multiplayer components. CD Projekt Red was just one of many Polish developers that received funding from the government. In all, the NBCR gave out $191 million PLN ($45.1 million) for almost 40 games. Other developers that received money included Techland, CI Games, 11 Bit Studios, Bloober Team, Fuero Games, The Farm 51, and Vivid Games. CD Projekt Red is currently working on Gwent: The Witcher Card Game and Cyberpunk 2077. That game is due out in the 2017-2021 window, which is also when another “AAA RPG title” is coming out. This game has yet to be announced, but was revealed earlier this year during an earnings briefing. This year, we compiled lists of the best gifts money can buy this Holiday season. The items recommended in these guides range from PC components to gaming peripherals to tech gadgets. We decided to break down our categories into four price tiers: $30, $60, $100, and $200. We covered a breadth of items at several price ranges to give you options when weighing your gift-giving decisions. There are some pretty sweet peripherals available for under $30. These range from making life more convenient to changing the way games are played. We found that the Logitech G300S gaming mouse to be a standout gift. Its ergonomic design and pinpoint tracking accuracy make it a definite upgrade for any PC gamer that has yet to invest in a good gaming mouse. The PowerA charging stations for DualShock 4 and Xbox One controllers is a great gift for your console friends. It makes gaming a lot more convenient by eliminating the need to plug controllers into the console to charge its battery. Check out all the items we recommended in our Best Tech Gifts Under $30. Going up to the $60 price range opens up plenty of options for great gifts. From improving audio experiences to taking a trip down memory lane, $60 goes a long way. The Steelseries Siberia 200 headset is a solid piece of hardware. Its mic is clear, the audio quality is impressive, and it’s incredibly comfortable to wear. The NES Classic is the hottest item this Holiday season, which makes it difficult to find. You probably don’t want to spend hundreds of dollars on a $60 item from a reseller, but Nintendo stated that units will be readily available soon. Check out all the items we recommended in our gift guide for tech under $60. Entirely new gaming experiences can be had for under $100; from dipping your toes into virtual reality to playing some of Nintendo’s best modern games. The Samsung Gear VR is a definite standout in our list. Of course, a Samsung smartphone is required to connect to the headset (list is in the full guide). If your gift recipient has a compatible smartphone, the Gear VR is an easy entry into virtual reality. The Nintendo 2DS is also available for $79.99 this Holiday season. It’s essentially an entire game system and grants access to the entire library of great 3DS games. Check out all the items we recommended in our gift guide for tech under $100. You’ll go big with our guide to gifts under $200. We were able to include more high-end tech, such as video cards, a display, and professional-level audio. The MSI GTX 1050 Ti is one of the best video cards in terms of bang-for-the-buck. If someone is in serious need of a video card upgrade, this is an easy choice. An impressive tablet is also on the market in this price range. The ASUS ZenPad S 8.0 is an Android-based 8-inch tablet that’s sleek and lightweight. Check out all the items we recommended in our gift guide for tech under $200. Regardless of your price limits for gifts, you’re bound to find something great for your friends and family. 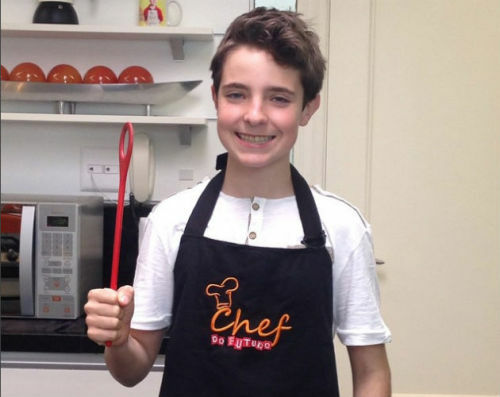 Gugu pode ter achado um sucessor: seu filho de 13 anos! 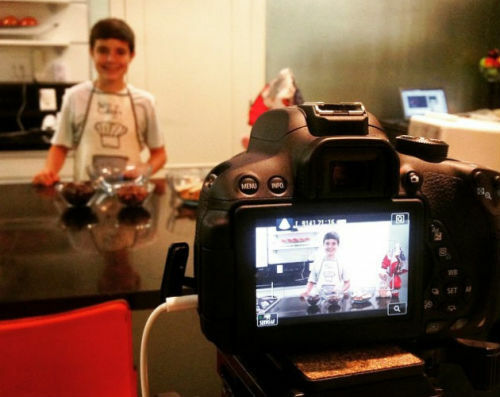 Caso você não saiba, João Augusto Liberato, filho mais velho do apresentador Gugu Liberato, tem um canal de receitas no YouTube, o Chef do Futuro. O garoto, que ensina pratos doces e salgados, é uma graça e está, aos poucos, ficando mais confortável em frente às câmeras. João posta vídeos toda segunda-feira. Você acha que João leva jeito para investir na carreira de apresentador?